Belize is hosting a high level Tourism Sistema de la Integracion Centroamericana (SICA) meeting on Ambergris Caye. Tourism Ministers from all Central American counties will be participating in a series of follow up meetings on pending SICA issues.As part of the SICA meetings, the Central American Tourism Council (CATC) and the Regional Tourism Private Sector Association (FEDECATUR) are participating in the meetings. 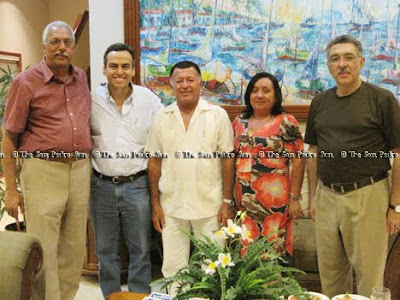 The SICA Tourism Ministers are Luis Simo from the Dominican Republic, Alan Flores from Costa Rica, Napolian Duarte from El Salvador, Myra Salinas from Nicaragua, Roberto Robles from Guatemala, Nelly Jerez from Honduras, Sarah Sanchez from Panama and Manuel Heredia from Belize. Belize’s Minister of Tourism Hon. Manuel Heredia is the current Pro-Temp President of SICA. The meeting is running from Thursday September 16th to Saturday September 18th at Banyan Bay Resort in San Pedro Town.